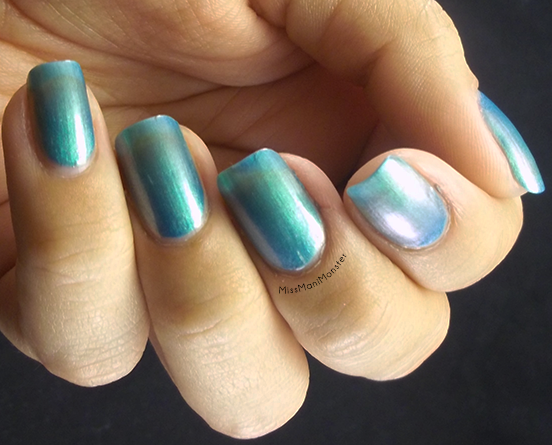 Two more striking swatches from Sally Hansen! The Triple Shine collection is another standout line from Sally Hansen, offering bright colors that shine BEFORE you add topcoat! 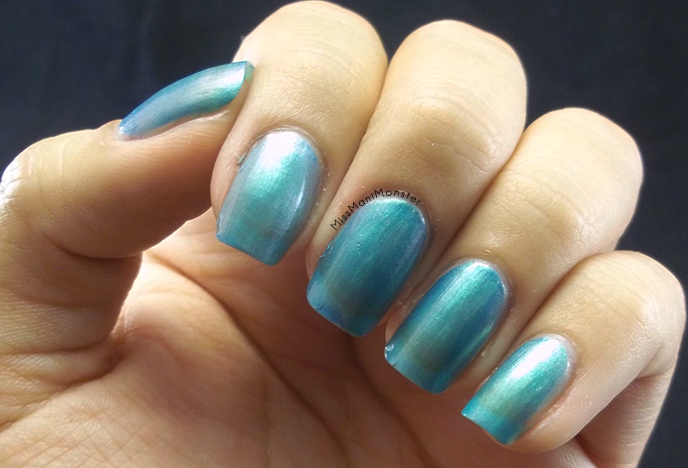 First is Make Waves, a shimmery polish with a teal-green shift. I used two coats. 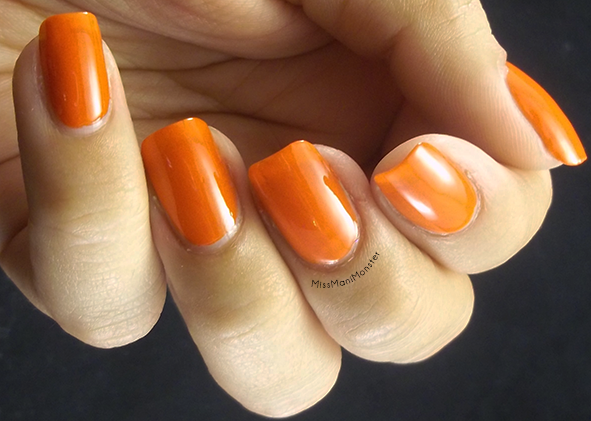 The other swatch is of Play Koi, a bright, rich orange shade that was opaque in two coats. As always, Sally Hansen polishes can be found at your local drugstore, Walmart, or Target! Also, don't forget that my blogaversary giveaway is still going on here! !